The GSI Outdoors Cascadian 1 Person Table Set is the recyclable, economical answer to all your wilderness dining needs. This lightweight, flexible polypropylene is easy to pack, stack, carry and will last for years and years. The recyclable, inexpensive answer to all your outdoor dining needs. This lightweight, flexible material is easy to pack, stack and carry. 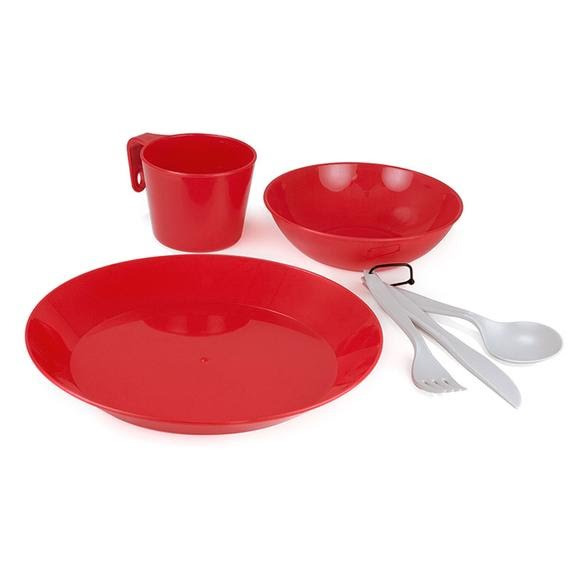 And it&apos;s available in four bold colors, to identify individual settings and brighten up any meal. Dimensions (packed) 9.70" x 9.70" x 2.80"